Last week, the stars put their freshest faces on display through their Instagram feeds. 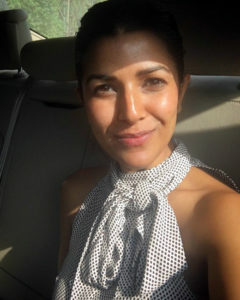 Nimrat Kaur and Priyanka Chopra basked in the holiday sun, Alia Bhatt sent us a dispatch from bed on her day off, and Athiya Shetty looked positively glowing in her red Anita Dongre outfit paired with a natural pink lip, bindi and little else. While the rest of Bollywood took it easy, Malaika Arora Khan and gang (including sister Amrita Arora, Kareena Kapoor Khan and Natasha Poonawalla) partied it up Saturday night with their best blowouts in tow, Aditi Rao Hydari picked a bright pink lip and slicked back hair for her Lucknow trip, and Jacqueline Fernandez (with hair expert Daniel Bauer) looked set to take on New York Fashion Week as the new face of TRESemmé. We are from Modelling Agencies in Mumbai.